As you now know, the book, M.E. 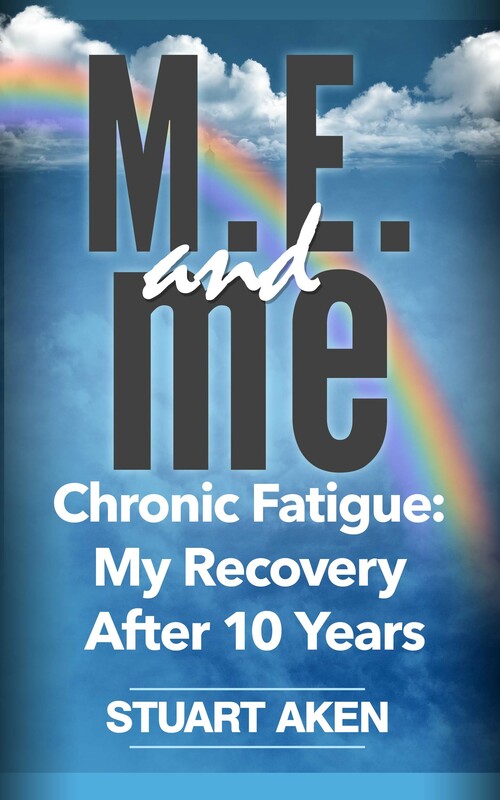 and me: Chronic Fatigue; My Recovery After 10 Years has been published in digital form and will be released on 14th June. It’s currently on offer as a ‘pre-order’ item on both Smashwords and Kindle. If you click on either of those names, you’ll be whisked away to their sites, where you can place your order to be amongst the first to receive the book. I’ve spent the last couple of days formatting the text for the paperback edition. Most of that work is now done and I’ve engaged the cover designer who did the eBook cover to produce the necessary cover for the paperback. She’s working on that even as I write this. So, I’m hoping the paperback will be out at the same time as the digital book is released. I’ll keep you informed. Just to let you know; I’ve been given permission to include certain text from the Action For M.E. website in the printed version, so this book will be particularly useful for those who have either no internet connection or difficulty in using the web. This week, for reasons best known to themselves, the organisation managing my training for the run, Greatruntraining.org, decided I had no need for my normal Sunday run. This worked out to be a real blessing, since I damaged my back on Friday. I’d been for my 20-minute run through the forest, this time dodging boughs laden with the heavy rain of a recent cloudburst, and returned to do my stretches and have my shower. All went well until I leant over slightly to pick up some nail clippers. Then, ‘twang!’, something gave in my lower back. I tried not to scream but my wife heard my response from downstairs. It put me out of action for a couple of days but I’m now more or less back to normal. It’s odd how the back can be so strong one day (I’d spent the previous couple of days building part of a stud wall, a job requiring a good deal of bending, lifting, sawing and hammering) and yet can suddenly give up on such a slight movement. Still, I completed the 2 runs set by the training programme, so everything remains on target there. See what this week brings. I’ve decided to extend each of the 10-minute runs to 15 minutes, as it seems hardly worth the bother of changing and stretching for just 10 minutes these days. A-Z Guide to Thassos, by Tony Oswin, Reviewed. Congratulations on many fronts. CFS is a tough diagnosis and recovery difficult. You have indeed made lemonade out of lemons! Thanks, Noelle. I was lucky enough to have a very supportive wife and daughter; without them, I doubt I’d have recovered. Thanks for the reminder. Have pre-ordered the book & Tweeted. Good luck with it. And mind that back! Thanks, Linda. Enjoy the read. The back is almost fully recovered, thanks.